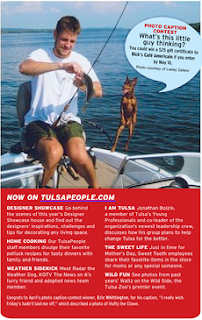 recipe for crazy blog: My Dog (and husband) in TulsaPeople! My Dog (and husband) in TulsaPeople! In case you missed it...check out who's on the homepage of TulsaPeople.com...under "Online Exclusives"
And, they appeared on page 8 of the magazine!! 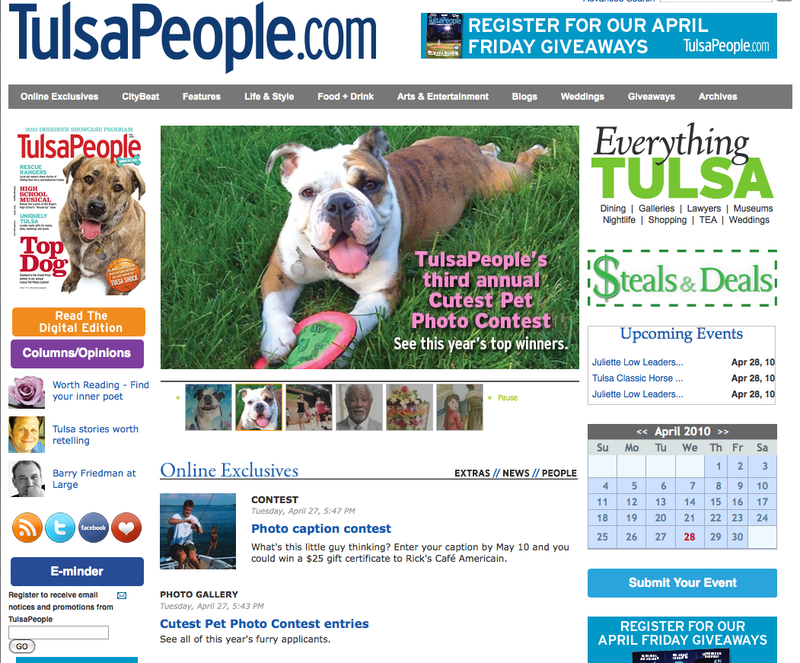 I think I may need to pick up a copy and have them autograph it! !